It all started with a small idea and before you knew it, there were we at our most awaited destination, Kashmir! Spring breathes the life into the frozen land, and the air is ready with a fragrance of million different flowers that bloom on trees. That’s the perfect description of Srinagar. The city perfectly embodies all the real colours of the state. This was our last destination in Kashmir, and was going to be the end of our twelve-day trip. So, I wanted to make the most of my last few days in Kashmir. 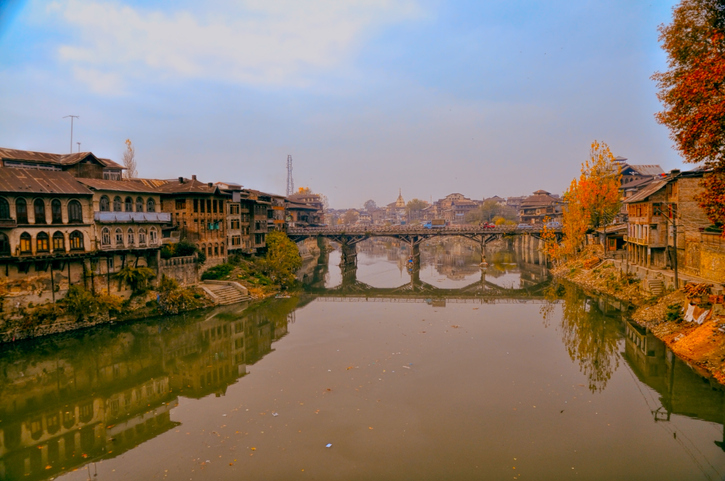 The placid Jhelum River flows through the heart of Srinagar and beautiful houseboats dominate the scene. Tourists get a perfect sense of relaxation amongst the willow-shaded canals, under bridges, green rice fields, water lilies and lotuses. Here you can also see the splendid scenery of the many lakes surrounded by great pine trees and snow-clad mountains that seem to touch the sky. Srinagar also has aquatic sports. You can try kayaking, canoeing, water surfing and angling. We reached Srinagar by bus in the morning, after a two-day stay at Dal Lake on a houseboat. Now it was the time to shift to a pre-booked hotel, one with big domes, scenic arches and heavy doors. The hotel also had lovely views of Dal Lake in its full grandeur. The blue waters and the beautiful houseboats created a picturesque view. We quickly had breakfast in the hotel and started our sightseeing. Our first spot in Srinagar was Wular Lake. The jade green waters have a small island with the ruins of an old mosque and are also the largest freshwater lake in Asia. 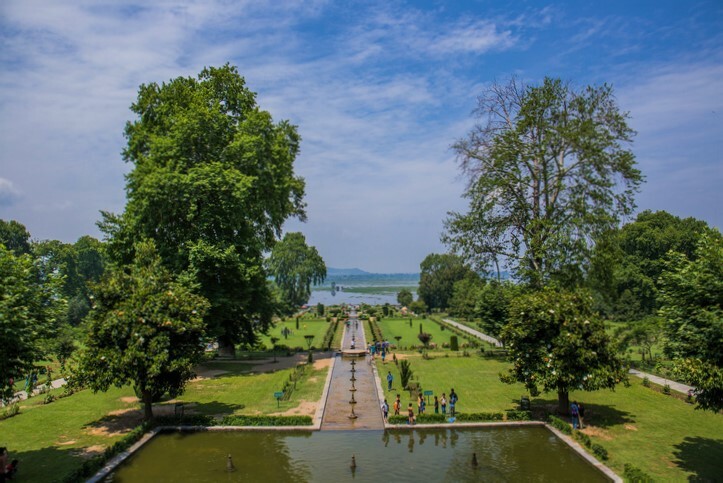 The largest and perhaps the most popular Mughal Garden in Srinagar is the Shalimar Bagh, which is situated along Dal Lake. After enjoying the mesmerizing beauty of Wular Lake, next on the list was a visit to some of the famous Mughal Gardens. The gardens were laid out by the Mughal emperors. Shalimar, the “abode of love” was laid by Emperor Jahangir for his beloved queen Nur Jahan and is the most famous of these garden. The charming gardens have many cascading streams and fountains as well as colourful flowers that fill the air with their scents. Also on the shores of Dal Lake is the Hazratbal Shrine. While it is not open for tourists for most of the year, on specific it is shown to the faithful who gather in the courtyard. Our next destination was Hari Parbat. This hill is said to have grown out of a pebble dropped by the goddess Parvati when she wanted to crush a demon. You can see the ruins of a historic fort. Here we stopped for lunch and had some delicious Maggi. 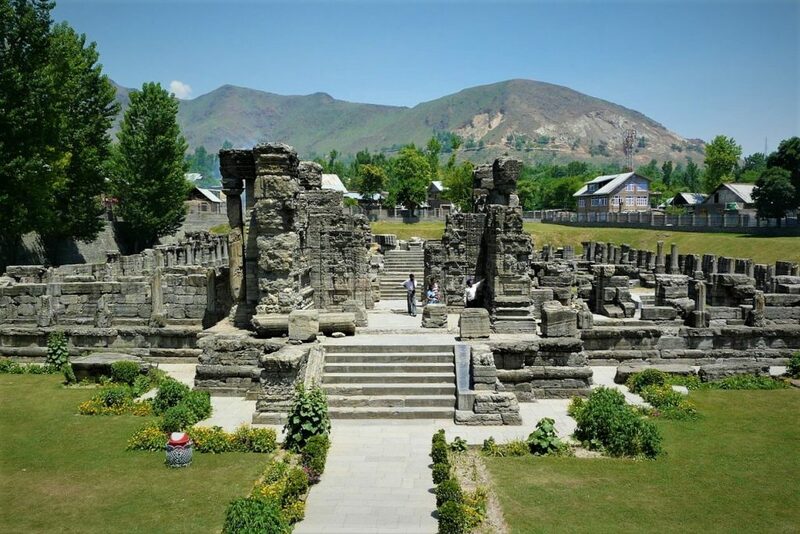 Avantiswami Temple is a Hindu temple located in Awantipora built by king Avantivarman in 9th century A.D. on the banks of the Jhelum. After our meal of Maggi, the next stop was at Awantipora a small town known for its ancient Hindu temples. We visited the Avantiswami Temple that was built King Awantivarman in 9th Century AD. 4 km away from Awantipora is the Mughal garden of Acchabal. It is filled with cascading fountains and pavilions along with a tourist bungalow. Kashmir is also handicraft lover’s delight. 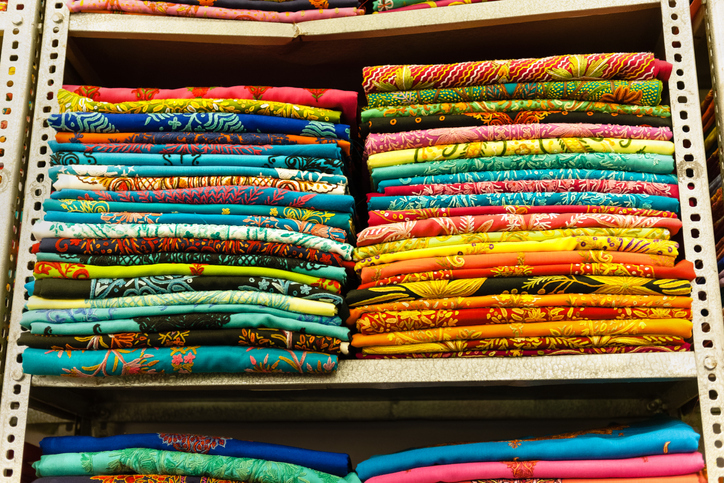 It is known for a rich variety of handlooms and handicrafts. 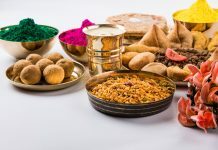 Check out the Papier-mâché figures painted in floral designs, wood carvings and screens, silk and woollen shawls with traditional embroidery and much more. The bazaars are Srinagar are filled with street vendors selling these handicrafts. Part of the charm of Kashmir is the opportunity to stay in a floating houseboat. But, there are also European style hotels, private guest houses and tourist huts. The main boulevard is also lined with hotels and restaurants to suit every budget. 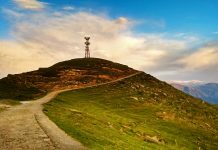 The nearest airport is in the Badgam district 25 km away in Badgam; one can also fly from Jammu. There are also direct flights from Delhi. The nearest station is also at Jammu which is 30 km away. Srinagar was the best part of my Kashmir trip. Kashmir, you were beautiful. I would truly love to visit once again to truly experience its beauty!